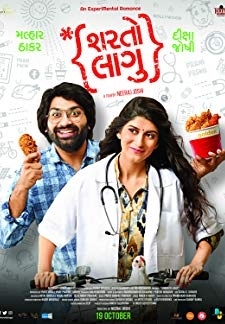 © 2018 Scratchu.com Dhh | Naseeruddin Shah, Kahaan, Karan Patel, Kuldeep Sodha, Khush Tahilramani, Archan Trivedi, Krunal Pandit, Brijendra Kala, Prapti Mehta, Sunil Vishrani, Amit Divatia, Mehr Mahajan, Mahesh Vaidya, Prashant Barot, Himalaya Sharma - Dhh (2017) | Gujarati Movie | 9.3/10 | Synopsis : Dhh is a heartwarming story of 3 friends (Gungun, Bajrang and Vakil) who think they are failure until The Magician comes in. All Three believe that only This Magician can help them out.... Watch Online!! !